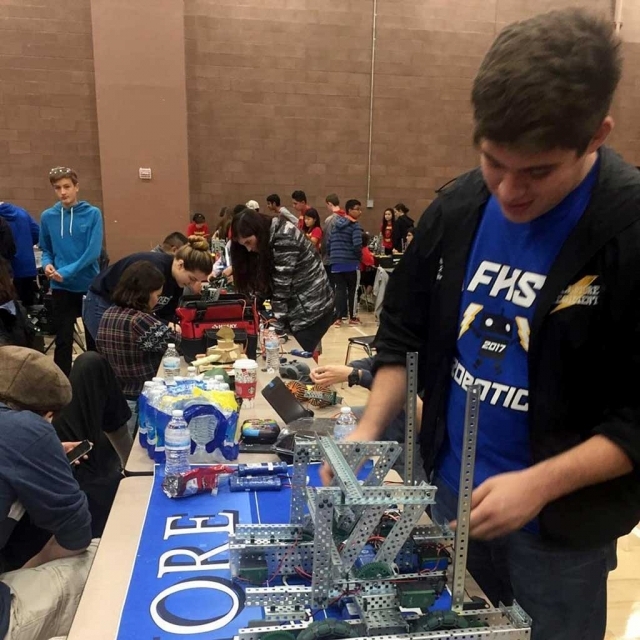 On Saturday, February 17th the Fillmore High robotics team “Flash Drive” competed against Valencia High School. Last week Mountain Vista Elementary held their Annual Spelling Bee. It is one of the most competitive spelling bees held at Mountain Vista. 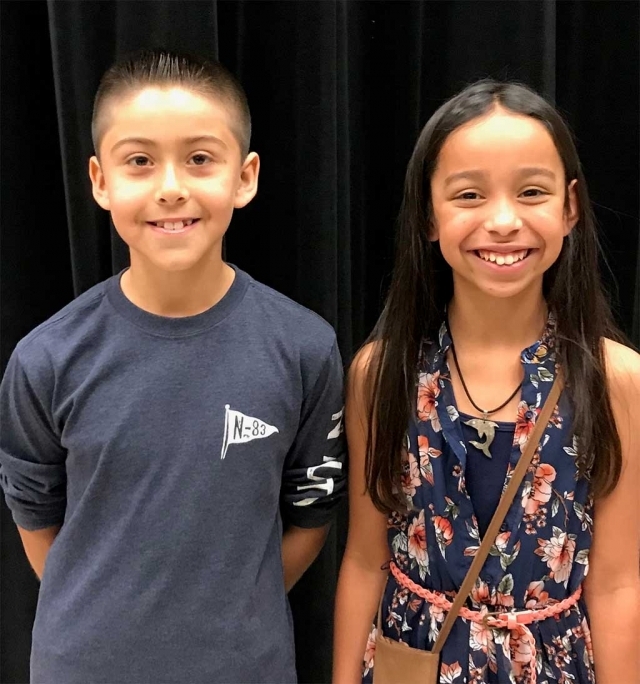 This year’s winner was Adrian Fuentes (left) and runner- up Aurora Arellano. The spelling bee went for 18 rounds with Adrian spelling “parenthetical” as his winning word. Good luck Adrian who will move onto the next round which will be held at Cal State University Channel Islands. Photo Courtesy Kelly Myers of Mountain Vista Elementary School. The Fillmore Unified School District (FUSD) met with representatives from the Fillmore Unified Teachers Association (FUTA) on Wednesday, February 7, 2018 to negotiate. Negotiations were held at the District Office (627 Sespe Avenue, Fillmore, California) beginning at 9:50 AM. sessions during the 2017-2018 school year. The next negotiations session for FUTA and FUSD is Tuesday, February 27, 2018. 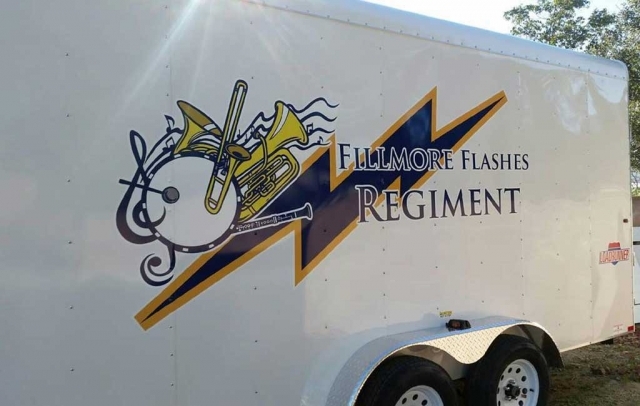 About four years ago the FHS Band rented a U-Haul to transport the band’s equipment and instruments to each competition. After years of hard work and fundraising they were able to purchase their own trailer. 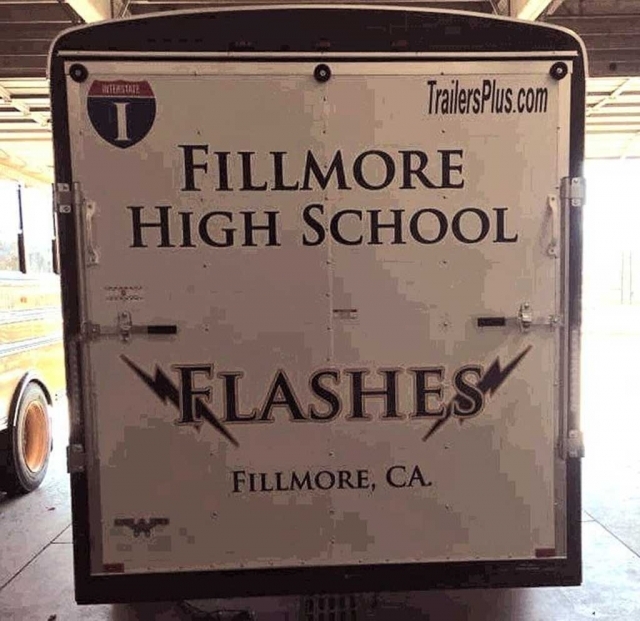 This past Thursday the Band revealed the FHS decals and the new trailer. 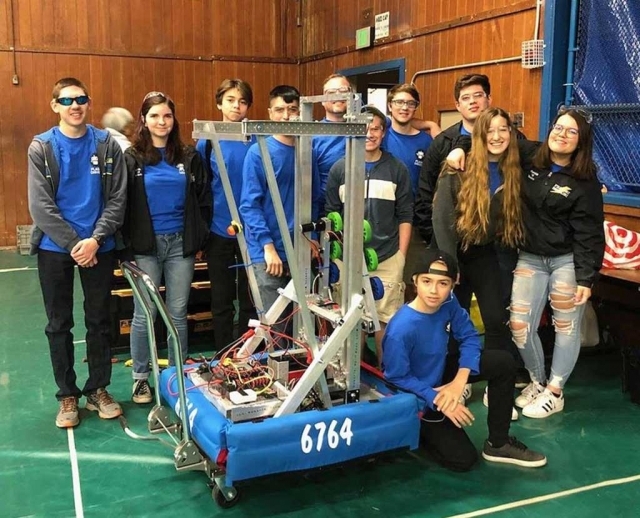 Three additional local high schools will join the winner of the Ventura County Academic Decathlon in the statewide competition to be held in March in Sacramento. Calabasas High School was guaranteed a spot in the state competition after winning at the county level. And now, La Reina, Oxnard and Westlake High Schools have been invited to participate as “at-large” competitors. 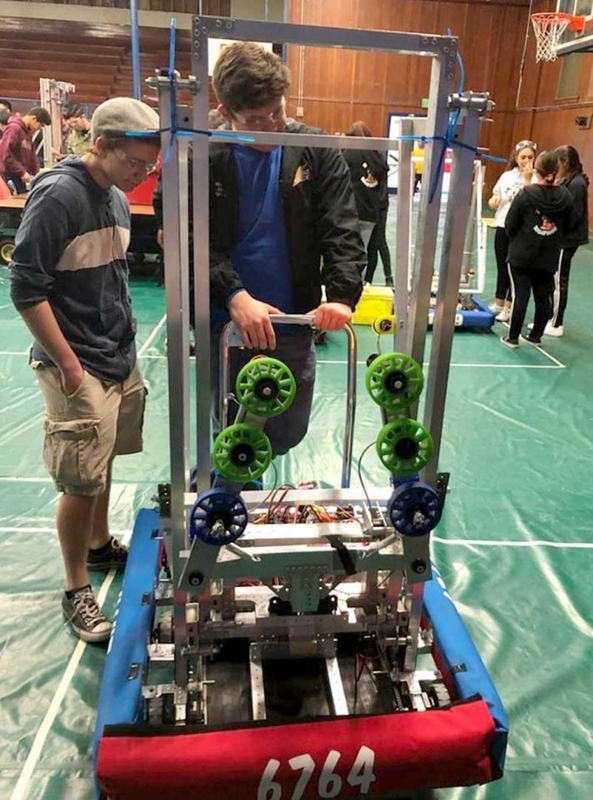 At-large teams are selected to fill open spots in the state contest based on how well they scored in their county competitions. The California Academic Decathlon will be held on March 23 and 24 in Sacramento. The winner of the state competition heads to the United States Academic Decathlon. 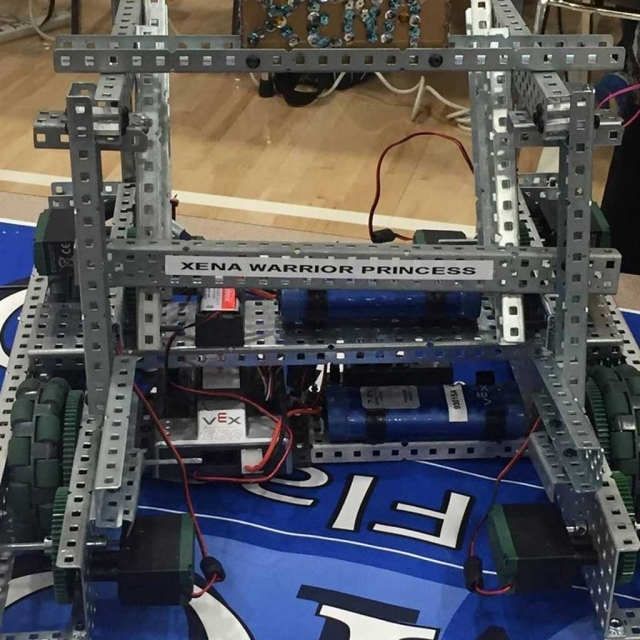 Ventura County teams have made it to the nationals six times, placing second in 2000 and 2002, and taking first place in 1999, 2003, 2008 and 2009. A list of past winners is available here. 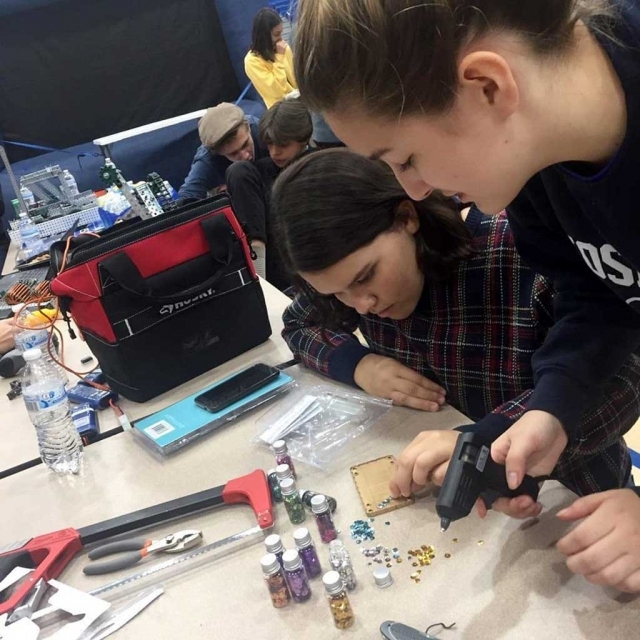 The Ventura County Academic Decathlon, coordinated by the Ventura County Office of Education, is an opportunity for local high school students to compete against like teams of students countywide. Students compete in ten academic events: essay writing, speech, interview, art, economics, language and literature, mathematics, music, science and social science. This year’s competition was held on January 27 and February 3. High schools fielding teams this year were: Adolfo Camarillo High School, Buena High School, Calabasas High School, Channel Islands High School, Fillmore High School, Hueneme High School, La Reina High School, Moorpark High School, Newbury Park High School, Oak Park High School, Oxnard High School, Pacifica High School, Rancho Campana High School, Rio Mesa High School, Royal High School, Santa Susana High School, Simi Valley High School, Thousand Oaks High School, Ventura High School and Westlake High School. A unique aspect of the competition is that it’s designed to include students from all academic backgrounds. A team consists of nine full-time students from the 9th through 12th grades at the same high school. 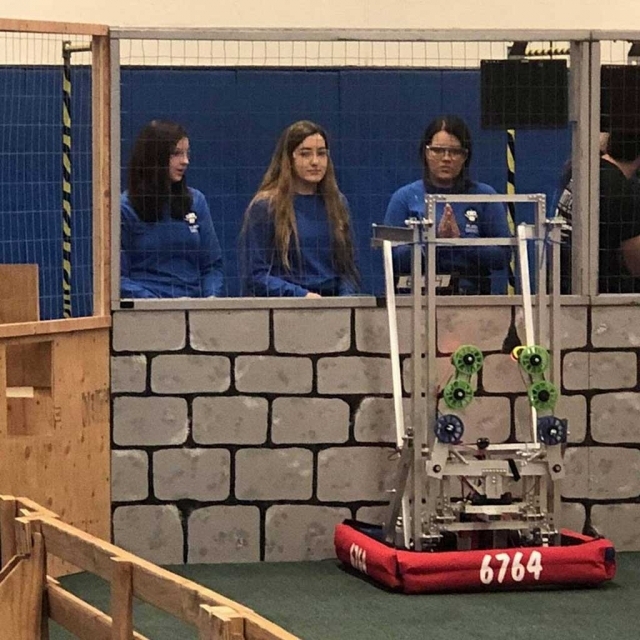 Each team is comprised of three students whose grade point average falls into the “A” category, three students in the “B” category and three students in the “C” category. More information about the Ventura County Academic Decathlon is available here. Board approved the Single Plans for Student Achievement for all district schools. The Board approved a Notice of Completion for roof restoration projects completed by Midstate Sheet Metal, Inc. The Board announced the recent positive evaluation of the Superintendent and unanimously approved a contract extension for Dr. Adrian Palazuelos to continue as Fillmore USD Superintendent through June 30, 2021. The Board approved all personnel recommendations including new hires, promotions, resignations, and leaves. 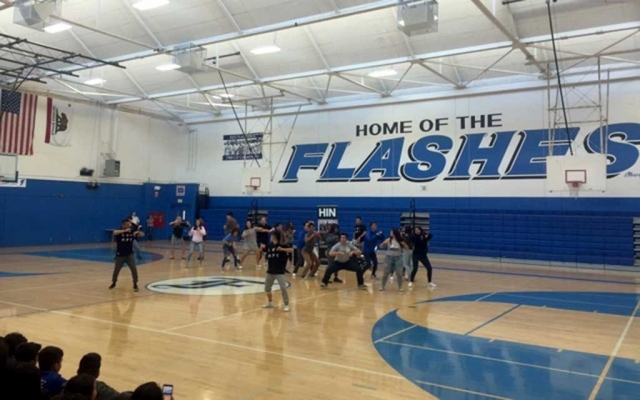 Last week Fillmore High School hosted an Anti-Bullying assembly in the gym for each grade level, where they learned about how they can help stop bullying and what they can do if they see it happening. Photo courtesy Katrionna Furness. 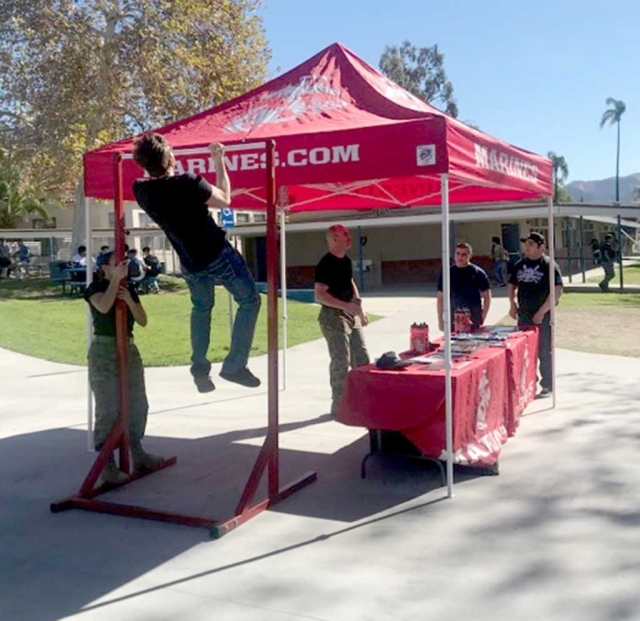 Last week during lunch at Fillmore High School the US Marine Corps set up a Pull Up Challenge for the students to compete as well as learn about the Marines. Photo courtesy Katrionna Furness. 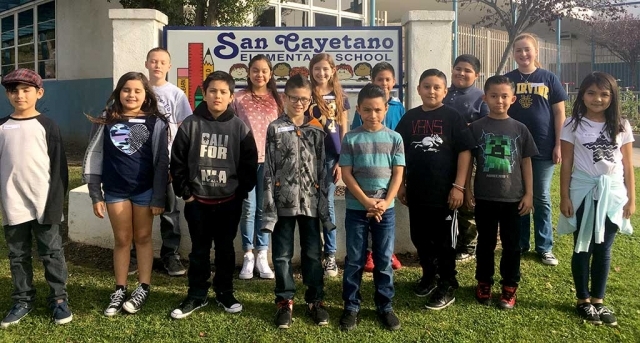 Pictured above are San Cayetano Elementary 3rd - 5th grade students who participated in the this year’s school Spelling Bee which took place Monday, January 29th. 3rd grade students: Saul Fraga-Sandoval, Kamila Maldonado, Paul Pacheco, Ricardo Quilo, Sienna Altamirano, Luis Navarro. 4th grade students: Giovanni Alcala, Jose Alcarez, Emma Victor, Jesse Cavazos, Jirhet Cruz, Jonas Ramirez. 5th grade students: Nadia Palazuelos, Diana Santa Rosa, Presley McLain, Nolan McKeen. 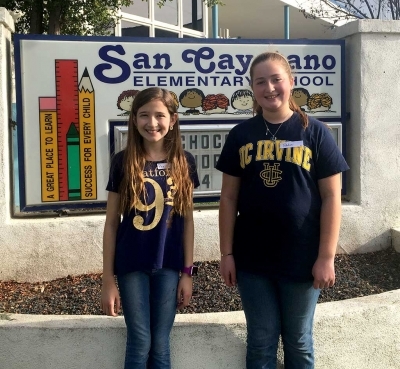 (l-r) are 2nd place runner up Presley McLain and 1st place winner Nadia Palazuelos, who will compete at the Ventura County Spelling Bee Final in March. Congratulations to all San Cayetano 3rd -5th grade students who were eligible to participate in the school Spelling Bee, which was held Monday, January 29th. After several elimination rounds the final contestant standing to represent San Cayetano is 5th grade 1st place was winner Nadia Palazuelos. Our 2nd place runner up was Presley McLain. Nadia will move on to the next round to compete at the County level. The Ventura County Spelling Bee final will be held from 8:30 a.m. to 4:00 p.m. on March 3, 2018, at California State University Channel Islands. The county champion will fly to Washington, D.C. to compete in the National Spelling Bee. Submitted by Tricia Gradias, Principal, San Cayetano School. On Tuesday, January 30th Fillmore High School parents graduated from Fillmore High School’s 1st Aid for Mental Health Program, completing their 3rd and final class. They learned about mental illnesses and how to recognize them, and resources available to help. The Fillmore Unified School District (FUSD) met with representatives from the Fillmore Unified Teachers Association (FUTA) on Tuesday, January 30, 2018 to negotiate. Negotiations were held at the District Office (627 Sespe Avenue, Fillmore, California) beginning at 9:00 AM. 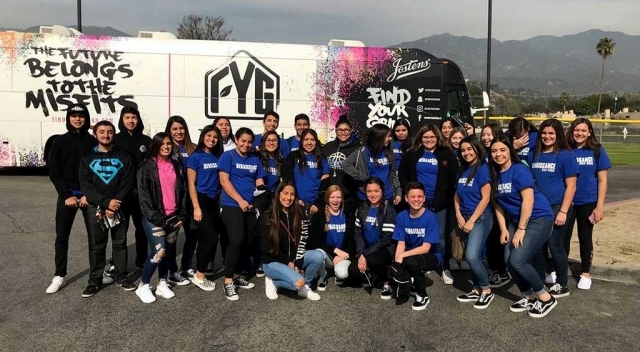 Fillmore High Schools outstanding Renaissance Class attended the Renaissance National Tour at Monrovia High School last week. The students were joined by over 1000 other students from other high schools that shared their passion for changing school. 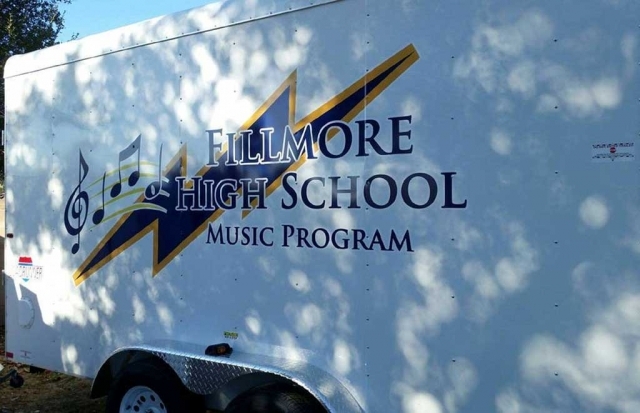 The Fall Semester for Fillmore High School will be extended for three weeks from January 8th to January 26th. Final exams are now scheduled for January 23, 24, and 25, 2018 due to the Thomas Fire closure. CSU Channel Islands (CSUCI) is among the top 20 colleges and universities in the nation in terms of social mobility, a term synonymous with a low income students being able to improve their socioeconomic circumstances. CSUCI is ranked number 18 out of 1,363 universities in the “Social Mobility Index” (SMI), which was developed by CollegeNET — a software company for higher education, and PayScale, Inc.an online salary, benefits and compensation information company. The SMI measures the extent to which a college or university educates more economically-disadvantaged students at a lower tuition rate, then graduates them into promising careers. CSUCI Executive Director of Student Academic Success & Equity Initiatives Amanda Quintero, Ph.D. believes CSUCI excels at social mobility because the University takes special care to provide encouragement, tutoring and practical support to students and families who may not be familiar with the college experience. In fact, all 23 CSU campuses appeared in the top quartile of the listings, with five CSU campuses in the overall top ten. Data was collected through third-party sources such as Payscale, Inc. and the Integrated Postsecondary Education Data System. The index measured five criteria when compiling statistics: tuition cost; the percentage of the student body from low-income households; graduation rates; and the size of a school’s endowment. Quintero often works with students who are the first in their family to attend college, and these students are often from lower socioeconomic backgrounds reaping the greatest benefit from higher education as a tool for social mobility. Quintero herself is the picture of social mobility. She rose from poverty to become the first of her family to attend college, ultimately earning a Ph.D. in Education from Claremont Graduate University. But in the end, she said, the sacrifice was more than worth it because she improved circumstances for her entire family, and for generations ahead. Her advice to those who are seeking an education despite few economic resources is to “never give up,” she said. Fillmore High School AVID group took a trip to Cal State University of Northridge last week. They toured the campus and were able to get a feel for the college lifestyle. It is hoped that trips like this will encourage students to continue their education at the next level. 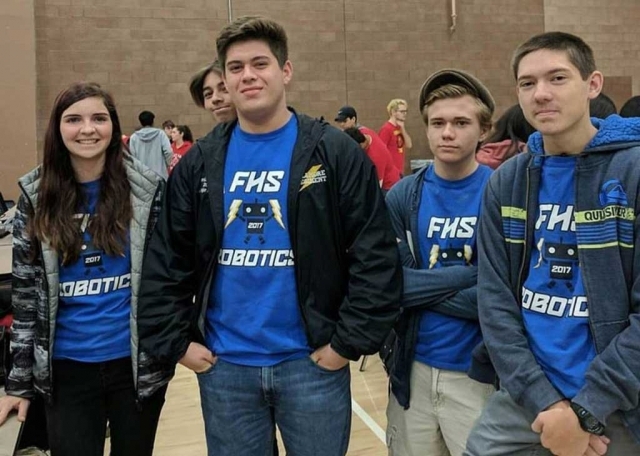 Pictured are some of the Fillmore High School Robotics’ Club attended the Bakersfield Vex League Competition #3 on November 11th. Also pictured is their prototype they entered in this year’s competition which is held from October 2017-January 2018. 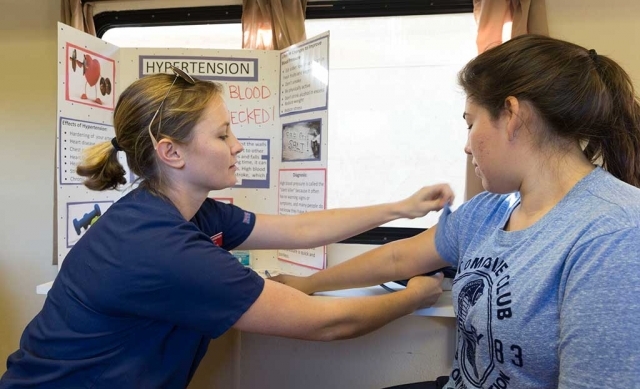 For the fourth time, CSU Channel Islands (CSUCI) Nursing graduates scored a 100% pass rate on the National Council Licensure Examination (NCLEX), the state boards that allow them to practice nursing. The latest 100% pass rate is for the 57 CSUCI Nursing graduates who took the state boards between July 1 and Sept. 30. All 57 passed on their first attempt. CSUCI Nursing graduates also managed a 100% pass rate for the 2011/12, 2013/14 and 2015/16. The average pass rate for the state of California for 2016 was 88.2%. Landry said that integral to the success of the Nursing graduates is Professor of Nursing and former Nursing Chair Karen Jensen, who retired but still teaches part time. Both Jensen and Landry credit the 100% pass rate in part to a remarkable faculty, who go above and beyond for their students, and always model professional behavior. This news is especially welcome because Nursing faculty had just streamlined the nursing program from 136 to 120 units of instruction at the direction of the Chancellor’s Office, and there was concern about how this would affect student outcomes. Both believe the selection process for Nursing students is also a factor. Out of 400 to 500 candidates, just 40 are accepted. Jensen believes the support the Nursing students give one another can’t be underestimated. As an example, Jensen refers to her so-called “miracle class” at the Goleta campus a few years ago.